Skillbuilders 2019 is here! Join us on the third Saturday each month where we will have a "look what's new" moment, show and tell, and a short lesson/demo of a tip, tool, or technique. This is such a fun program and we love seeing everyone gain skills and make friendships! If you've never participated in this program it works like this: $60 gets you started with the pattern and your choice of background fabrics. Come the following month with your completed block and the next one is free. ($5 if your block isn't complete or if you can't make the time slot) When the series is over, receive 15% off any batting, backing, or border fabrics to complete your quilt. 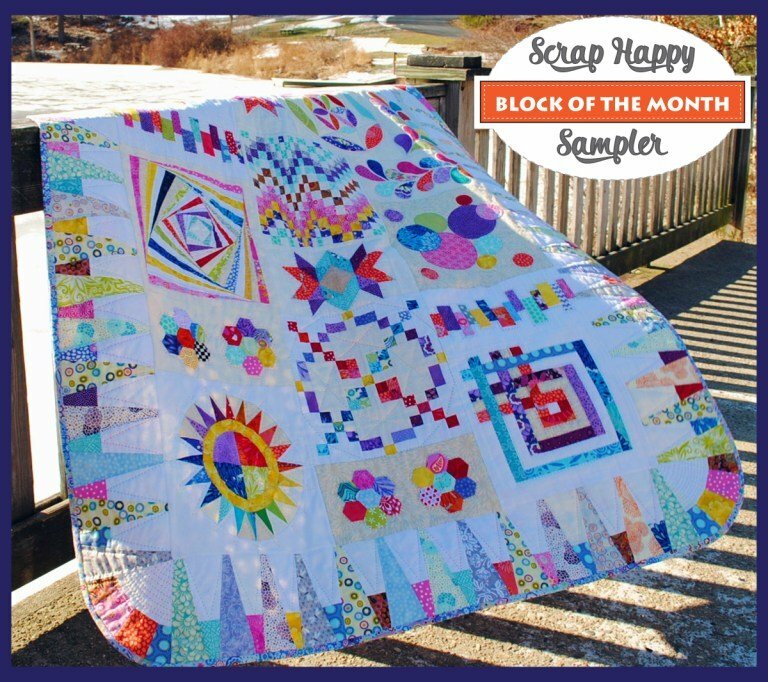 This quilt for the 2019 program will be offered in two color palettes: bright or pastel. Please choose your background fabric with this in mind.